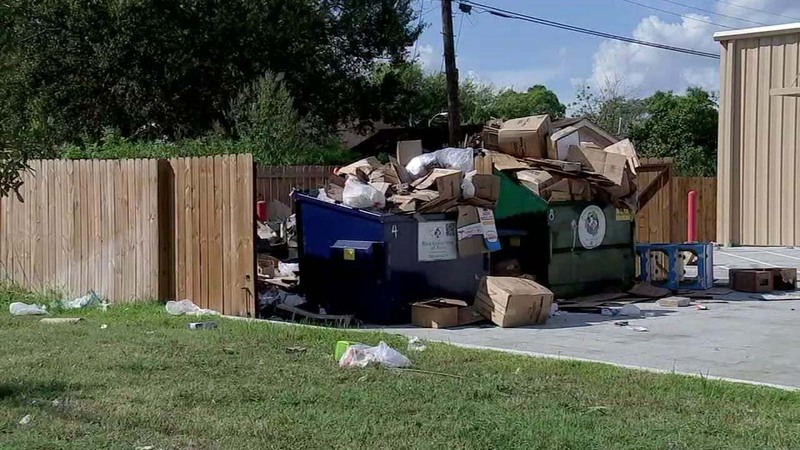 HOUSTON (KTRK) -- Residents say they're fed up with a local business and the constant trash problem. Piled up outside the new Family Dollar on Cullen Boulevard, sits dumpsters that are overflowing with boxes and mounds of trash around it. "I personally welcome stores in our community but we certainly want them to be assets to the community and not eye sores," a resident said. The store is in Councilman Dwight Boykin's district. He says he's already contacted the Family Dollar headquarters but nothing has been done about the mess. "I don't think nobody should bring a dollar into the store until they clean up because what they're doing is taking the residents money and emptying boxes and throwing them back in the neighborhood," another resident said. "And you have two beautiful homes right here." A store supervisor told Eyewitness News that a waste management company picks up the trash every Wednesday. Neighbors say the trash has been piling up for weeks. The supervisor says the corporate office is making plans to build a bigger fence surrounding the store.